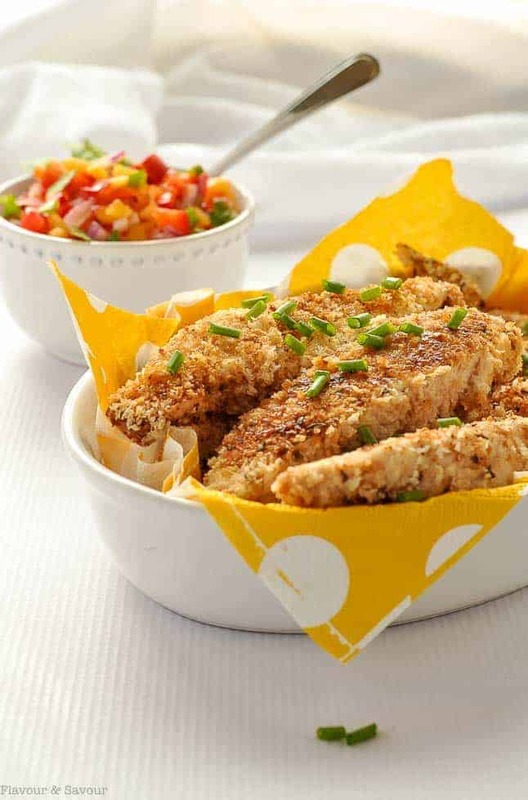 Spicy, full-flavoured Cajun Chicken Strips with Nectarine Salsa on the side makes a light gluten-free meal that’s fun to eat! they’re baked, not fried! 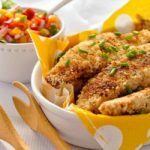 Make these crispy, spicy Cajun Chicken Strips and serve with a refreshing peach or nectarine salsa on the side. 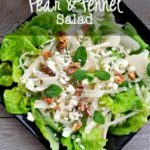 Add a salad and/or some potato wedges and you’ll have a quick gluten-free meal with no complaints from anyone around the table! 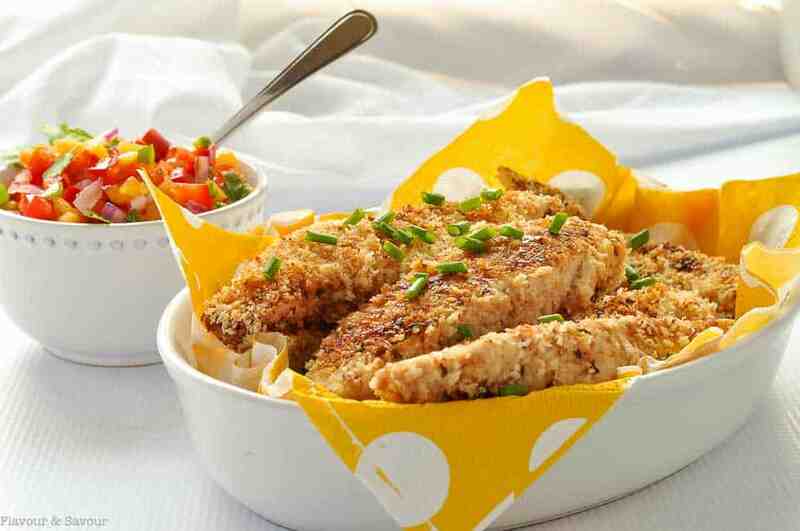 These easy baked chicken strips are crisp on the outside and juicy inside! 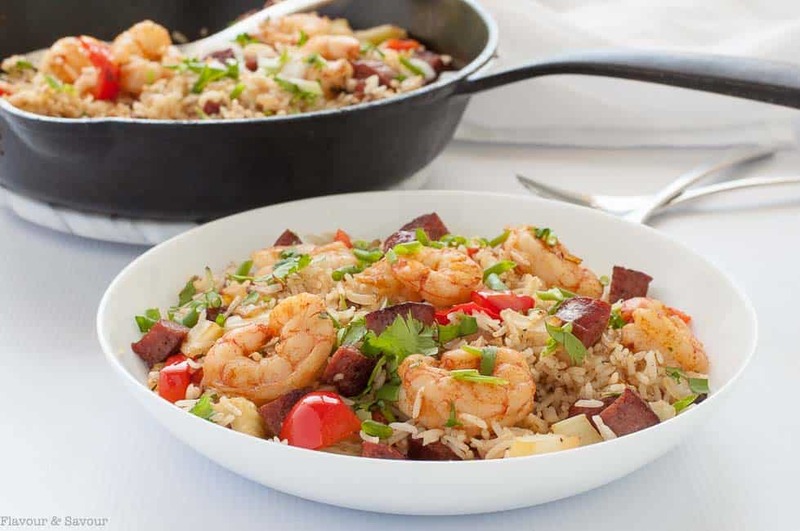 They’re spiciness is balanced with a side of fresh fruity salsa, made with nectarines or peaches, your choice! I used gluten-free Panko crumbs but regular Panko will work equally well if you don’t need to keep this recipe free of gluten. Just combine Cajun seasoning mix with Panko crumbs for a flavourful crisp coating. 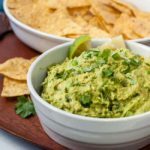 Use my easy homemade recipe or a store-bought mix. Dip chicken strips or tenders in beaten egg, then in the Cajun-seasoned crumbs, and bake in the oven until golden brown. While they’re baking, chop the salsa ingredients, make a hearty salad or these Smoky Sweet Potato Wedges and dinner will be on the table as soon as the chicken is cooked! This salsa! 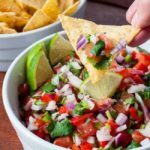 I’ve posted several fresh salsa recipes on this blog before, but oh my! This Nectarine Salsa is something else! Sweet and spicy, it may just be our new favourite. While chicken strips are usually served with a dip, having this cool salsa on the side tempered the heat of the Cajun spice and was a great alternative. 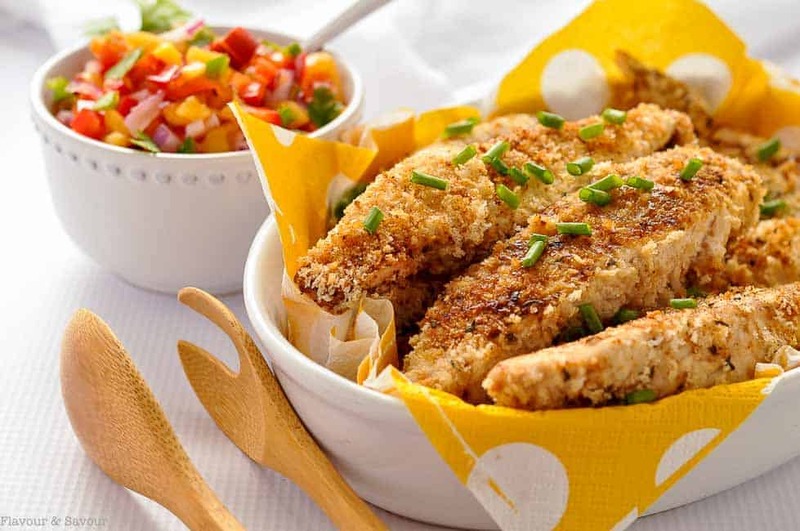 If you want the coating on the chicken strips to be perfectly golden brown, here’s the secret: Toast the Panko crumbs in the oven first before combining with the Cajun seasoning mix. Spread them on a baking sheet and bake at 350°F for 3-4 minutes. Watch carefully, as they’ll burn quickly. You can skip this step if you’re not particular about the coating, but it does make them look very appealing! The ones in the photo above were not pre-toasted, so you can see areas that browned more than others. Your choice! Bake on a rack set over a baking sheet. They won’t stick to the pan! 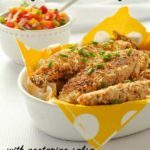 Spicy, full-flavoured Cajun Chicken Strips with Nectarine Salsa on the side makes a light gluten-free meal that's fun to eat! Preheat oven to 400°F. Place a cooling rack on top of a sheet pan. In a small bowl, beat egg. In another bowl, combine Cajun seasoning mix and Panko crumbs. Dip the chicken strips in beaten egg, then dredge in Cajun-seasoned Panko crumbs then place on the rack on top of the sheet pan. Bake at 400°F for 15 - 20 minutes or until crust is golden brown and chicken is no longer pink inside. Meanwhile, prepare the salsa. 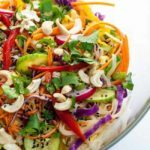 Chop finely and combine all ingredients in a small bowl. 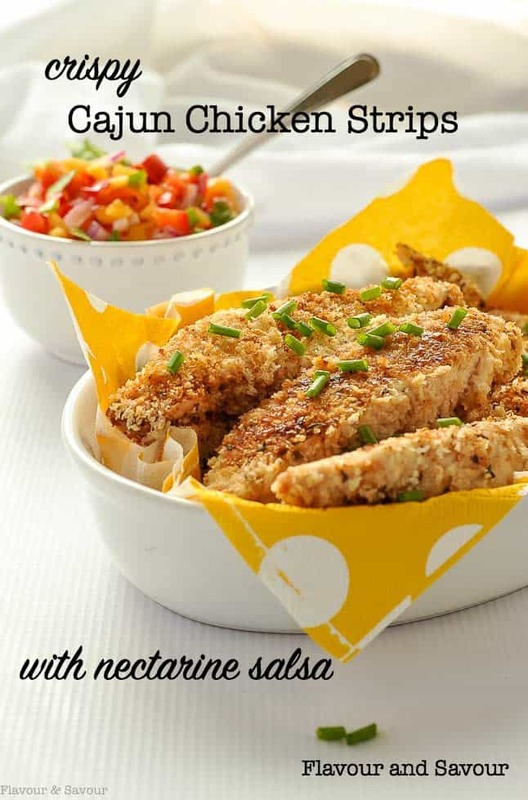 Serve the chicken strips with nectarine salsa on the side. Best served right away.